“Be who you are in big and small ways,” said Colleen DelVecchio, Director of Alumni Engagement at Smith College. She spoke at the close of a two-day Leadership Conference, a conference that had invited me to speak about my book! She challenged all of us there to bring our voices to every stage on which we find ourselves – from paying for coffee at a local independent coffee bar; to landing a sought after contract; to shepherding a child through the college admissions process. To her the size of the stage was irrelevant. What mattered was bringing ourselves to every situation. No deferring or diminishing or denying our voices. She implored us to bring them forward…in countless ways. She wasn’t aware of it but Colleen DelVecchio was talking about an important element of transition: exercising our voices. She – like so many of the people I encounter – overlooked transition. Or, was it that she lacked insight into this important topic? As I listened to her I immediately felt the distance that I’ve traveled in transition. 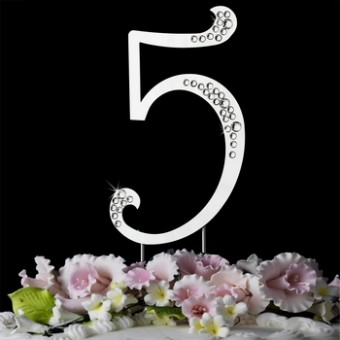 A journey that is underscored today by an incredible milestone, Novofemina’s fifth anniversary! To those of you who have walked this journey with me, thank you from the bottom of my heart. For those who are newer to our conversation, I thank you for choosing this topic. To both camps, I am thrilled that you’re here with me. 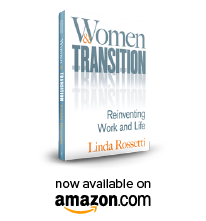 When I began Novofemina I thought transition was a process that would allow me to reconcile conflicts between my professional and personal lives. I approached it like a project management challenge. I expected tasks and phases and gates and a final – albeit uncertain – deliverable. A new job? A new way of working? I wasn’t certain what transition held for me but I knew that something had to give. Today thanks to the voices of hundreds of women with whom I’ve spoken about transition my work is focused on a cause that engages my entire soul, a cause that I believe has positive implications for women. The cause? Transition. Or more specifically, I am on a crusade to increase the capacity for transition in women – everywhere. Transition occurs when there is a shift in what holds value or meaning to each of us. It is a process that we choose when faced with the need to change. It requires us to re-examine our assumptions about who we are – our identity, our capacity, our values. The choice part is important. A person can undergo hundreds of changes in their life and never transition. The choice is ours. I’ve concluded that transition is widely misunderstood in our society. Few know it as a normal part of adult growth and development. This mismatch leads many to misinterpret transition’s earliest stages as failure. Women’s response to this – very often – is to draw inward. This response can fuel feelings of inadequacy and self-doubt, a treacherous cycle that can cause women to stall, disengage or retreat from living the lives they imagine. I remember vividly the earliest days of my transition. It started one day when I crossed an imaginary line – that day the bottom fell out on the meaning of my professional world. That world was complex and all-consuming. Harvard Business School MBA. Million mile member of American Airlines’ Frequent Flyer program. Executive in the c suite of a Fortune 500. All of a sudden one day I said to myself, “this couldn’t be all there is?” as I looked across the room at my peers – the ceo and the presidents of the company’s geographic regions. I remember saying to myself, “There must be more for me.” This glint of possibility kept me going but it didn’t shield me from the instant onslaught of negative feelings. Failure. Guilt. Shame. Isolation. Fear. Fast forward to Smith College just before Collen DelVecchio spoke. I had just finished leading a seminar about transition with 60 women. Thanks to my book, Women & Transition: Reinventing Work and Life, I get invited to this type of event more and more these days. These moments – while small – are incredibly meaningful to me. They fuel me and offer me support as I explore how my transition will continue. Even though a book and formal research weren’t on my radar screen as my transition began I know that they are not its end. There is more…. At 5 I am ebullient and peaceful and open. I’ve traveled an enormous distance. The fear and uncertainty have been replaced by understanding and by optimism even in the face of more unknowing. While difficultly is likely ahead of me as I take on more and more of my transition I am ever grateful of the path and its countless gifts. I hope that soon Colleen DelVecchio and many others become aware of transition. It is a journey that many of us will find ourselves on during our adult lives. It is a journey whose course and pace you get to decide. It is enlivening and energizing and freeing. The only true risk in it all is that you begin. An act that can happen in countless ways – both big and small.